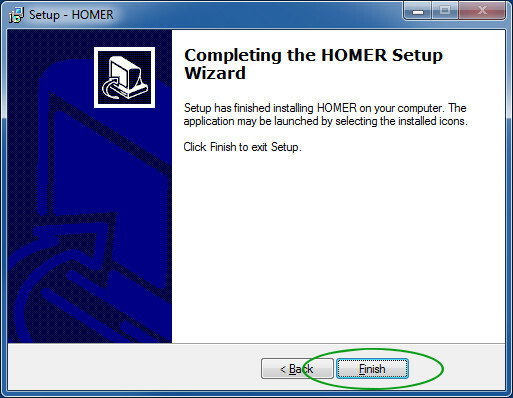 This article explains how to download and install HOMER 2 (v2.81). The download process delivers a zip file which contains a compressed installer. The installer must first be extracted (uncompressed) before it can be run. When run, the installer places the HOMER software on your computer in a working form. Note: For compatibility with the HOMER website, we strongly recommend using either the Firefox or Chrome browser. 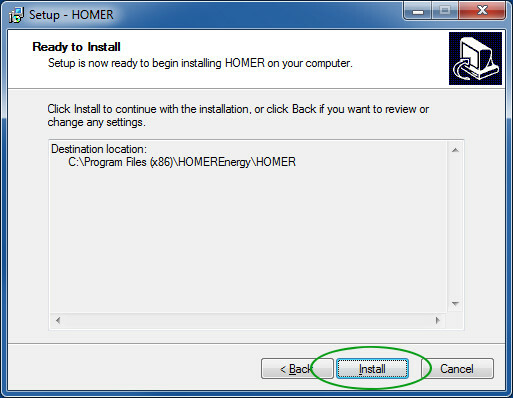 Step 1 - Sign in to your HOMER account at users.homerenergy.com, and you will be taken to the home page. Go to the HOMER 2 product page by going to the main menu at the top of the page and clicking Download/Purchase > Retired Products > HOMER 2. Note: If you do not have a user account, please refer to Knowledgebase Article 10495 for instructions for creating a new user account. Step 2 - On the HOMER 2 product page, click on the Download Free Trial of HOMER2 button, which takes you to the HOMER 2 download page. Step 3 - On the Download HOMER 2 page, first click the checkbox to accept the End Users License Agreement. If you wish, you can view the agreement by clicking on the HOMER End Users License Agreement link. Then click the Download HOMER 2 Free Trial button. Step 4 - A window appears which gives the option to Open with or Save File . 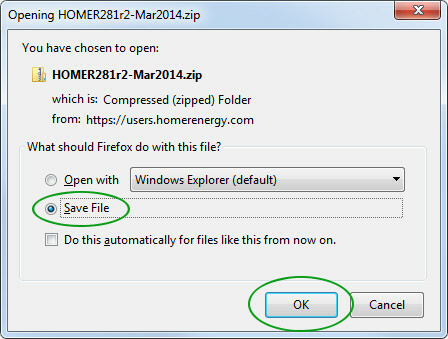 The name of the file will begin with "HOMER281" and end with ".zip". Select the Save File button, then click OK to begin the download. 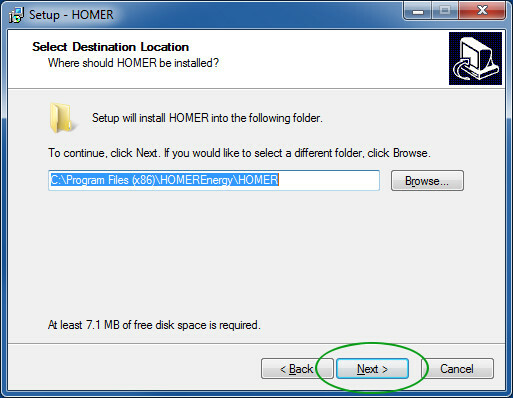 Step 5 - Windows will automatically place the HOMER 2 zip file in the Downloads directory on your computer. For the rest of the installation process you can leave the zip file here, or move it to another location of your choice, such as the desktop. Step 6 - The next step is to extract (uncompress) the installer from the downloaded zip file. Because Windows computers can be configured differently, the following three extraction methods are given. Option A - On most users' computers, double-clicking the zip file will display a window like the one below. The right panel in this window displays the zip file's contents, in this case, a single executable file called HOMER281r2-Mar2014.exe. Click the Extract all files link, and proceed to Step 8. Option B - Another method is to right-click on the zip file. 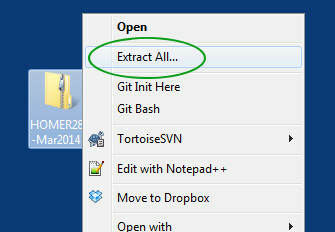 This will display a context menu like the one below with the Extract All... option. (Alternately, if your computer has a third party extraction tool--such as 7-Zip or WinRAR--the tool's menu options will also appear in this menu.) Click Extract All... and proceed to Step 8. 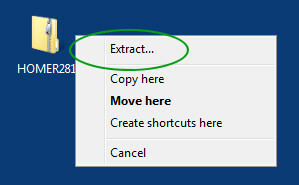 Option C - On some computers, neither left-clicking nor right-clicking the zip file will give the option to extract. If this is the case, carefully right-click over the file and hold the right button down, drag the file icon a short distance, and release the right mouse button. This should display a smaller context menu containing an Extract... option. Click on Extract... and proceed to Step 8. Step 7 - In the dialog box that appears, you can set the location where the extracted folder will be placed, but the default desktop location is fine. Click Extract . Step 8 - Open the installer folder, and double-click the installer file. Step 9 - A harmless security warning widow will appear. Click Run to start the installer. Step 10 - The installer now displays the following sequence of five windows. Click Next . Step 11 - In the Setup dialog box, for "Select Destination Location" accept the default destination. Click Next . Step 12 - Click Install . 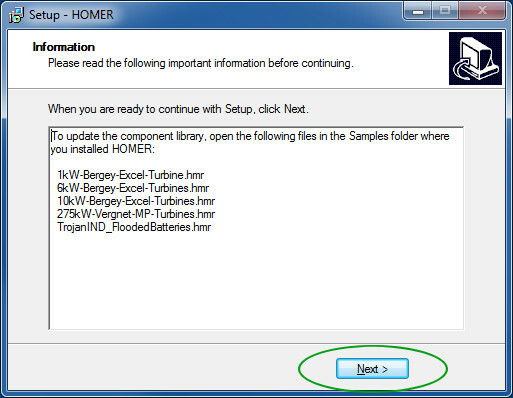 Step 13 - The following window lists a number of "add-on" library files which are included with the HOMER installation. Click Next . Step 14 - The installation is complete. Click Finish . 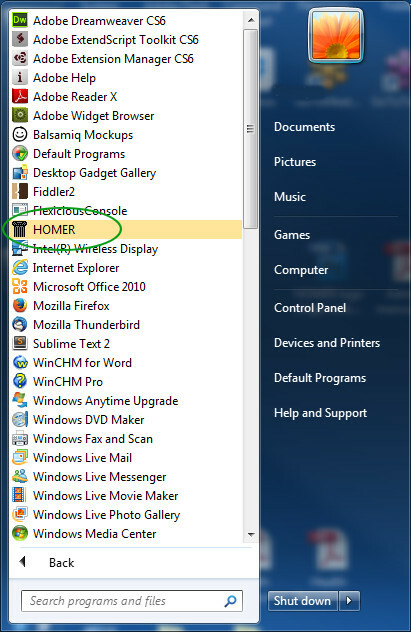 Step 15 - In the Start menu, click All Programs and you will now find HOMER listed. Double-click HOMER to start the program. Congratulations! You have successfully installed the HOMER 2 software! 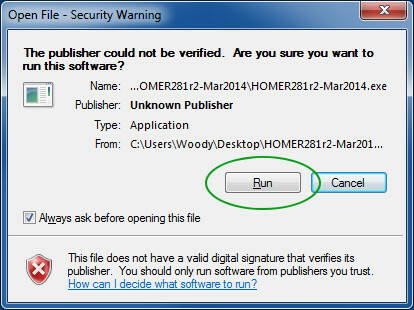 If this is the first time you have installed the HOMER 2 software, your trial license will work for 14 days. If your trial license has expired, view this Knowledgebase page to learn how to purchase a HOMER 2 license.